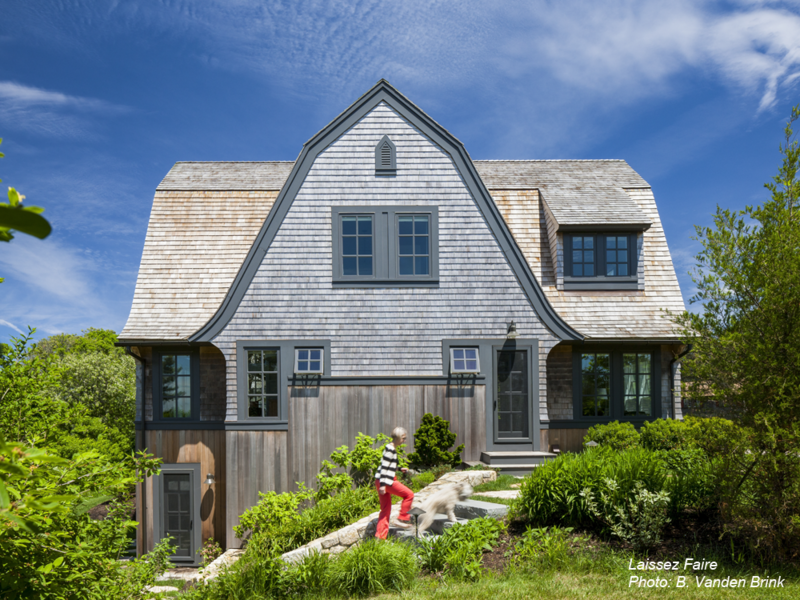 CBA created a beautiful landscape setting for this iconic home on Shore Road in Chatham which was featured in Country Living Magazine. The driveway was reconfigured to make a more inviting entrance that focuses on the house and the sea beyond. A field stone wall was designed to give the house and the immediate grounds a base on which to rest. 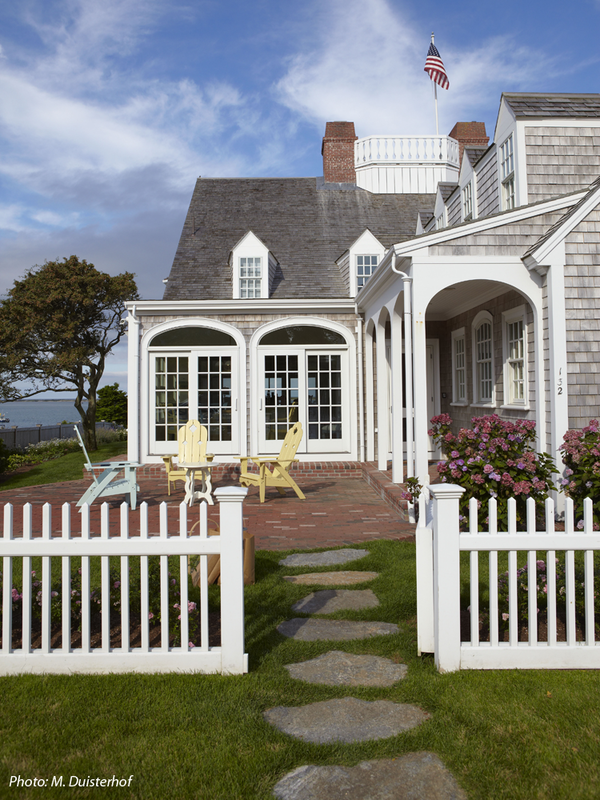 A picket fence lined with roses defines the foreground of the house. Bluestone stepping stones welcome the guests through the arbor to the main door at the side of the house. Colorful, easy care perennials surround the house and an elevated patio at the rear of the house offers spectacular views. 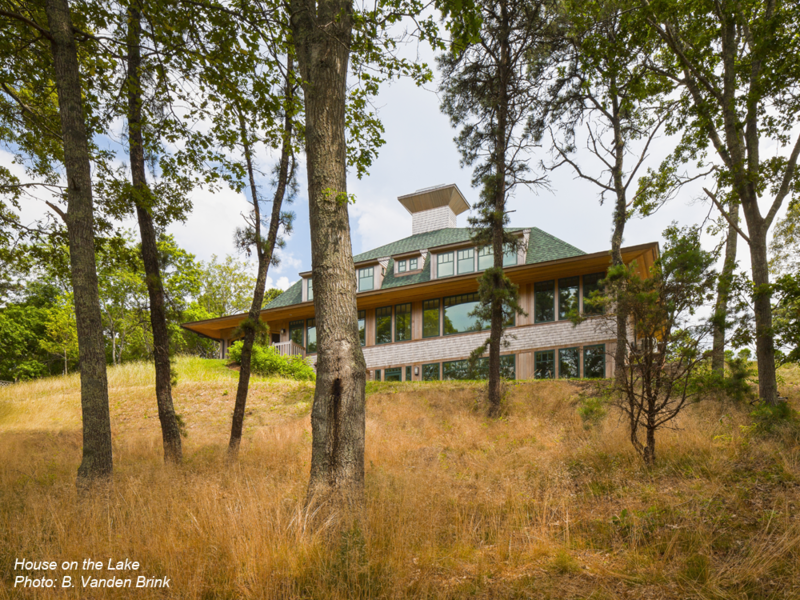 This home occupies a private wooded setting with spectacular views onto a classic Cape Cod "kettle lake". The landscape treatment emphasizes the natural beauty of the site, while also adding geometric bluestone paths and a rear patio to bridge the space between the built and natural areas. Stone steps provide access to the kettle lake. The carefully detailed landscape takes full advantage of this small lot that overlooks a salt marsh. Custom field stone walls with bluestone steps connect the main level to the walk out basement, and provide terrace planting beds for native shrubs and colorful perennials. 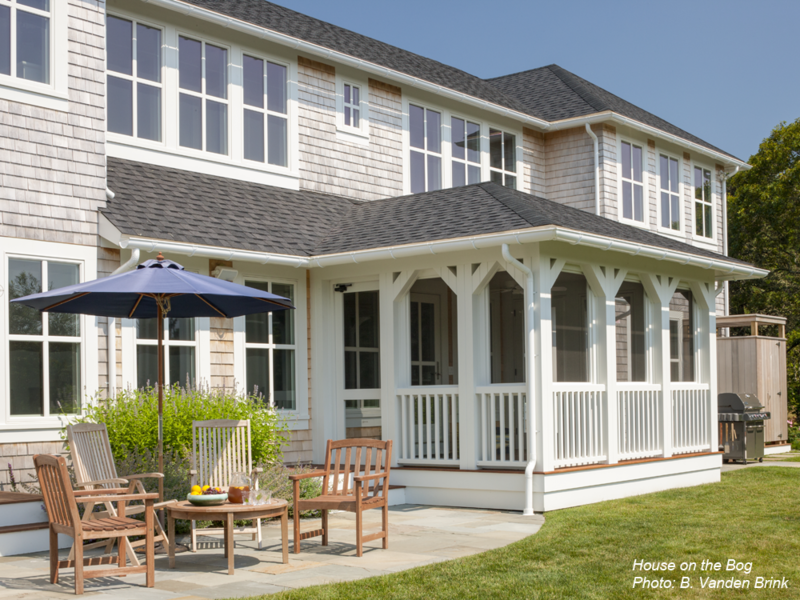 Everblooming roses on a split rail fence set the tone for this contemporary Cape Cod shingle house. The foundation plantings are kept low but lush and year round color and interest. A simple patio and perennials enliven the rear of the house. The sloping lawn leads to a scenic wetland. This compound includes a main house and a guest house. The site was kept open, evocative of historic farmland. The undulating lawn unites the buildings into a cohesive composition. Bluestone pathways make connections without creating rigid divisions in the lawn. The dipping pool behind the guest house is enclosed with a custom wood and wire mesh fence emphasizing the transparency of the site.